Blue-Blue-Bluestone Walkway and Patio Stone is a great choice for irregular patios and walkways. The stone is either silver gray or can include earphones. Pieces can be quite large. 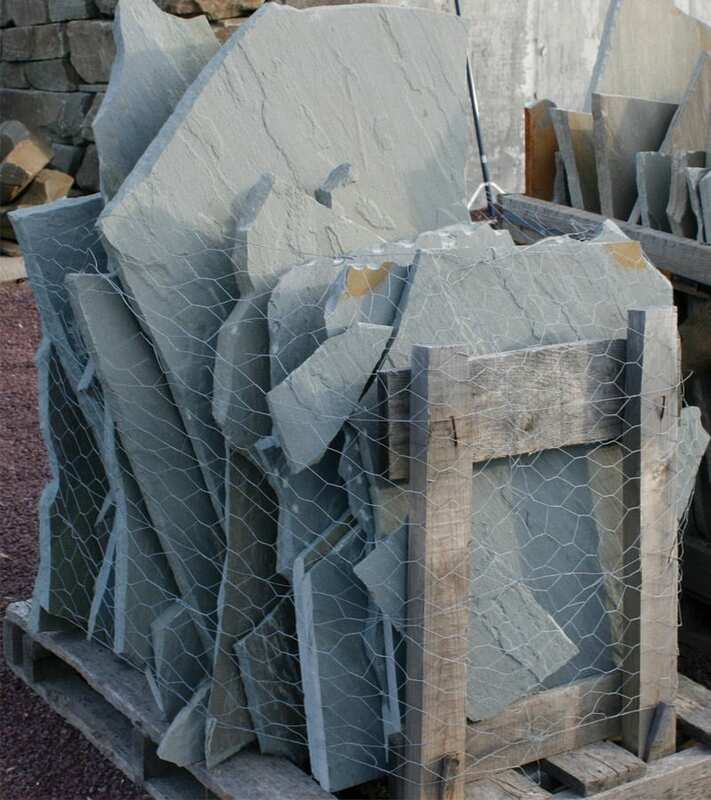 Blue-Blue Bluestone Irregular Walkway & Patio Stone - Vertical Pallet. Classic Bluestone exactly as it comes out of the ground. Irregular shapes and natural finish (modestly rough) make each piece truly unique. Blue-gray with small accent colors on select pieces. 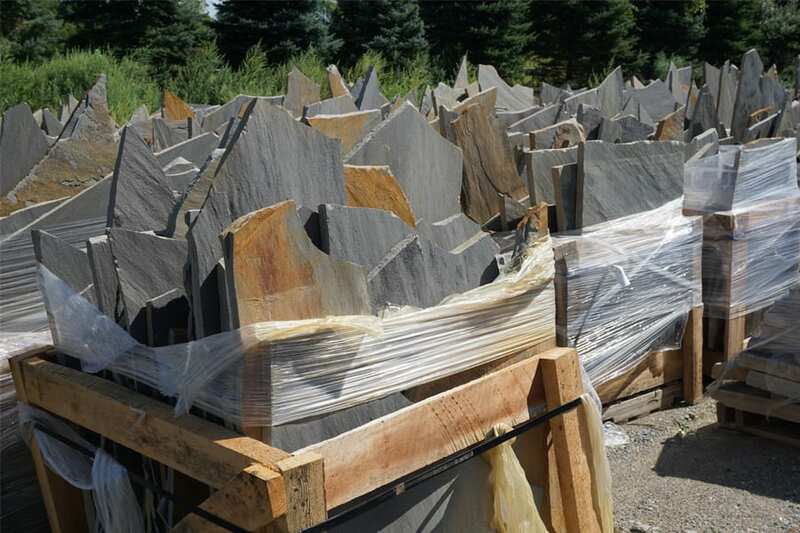 Blue-Blue is the brightest bluestone color we offer at Wicki Stone. Add in the naturally rough finish and irregular shapes and this unique walkway and patio stone creates one-of-a-kind works of art every time it is installed. Instantly looks aged and will become moreso over time. Vertical pallets mean many pieces are quite large. Cannot be handled by one person. If you are looking for a bright, classic irregular walkway and patio stone - this Blue Blue Bluestone irregular will create that look. 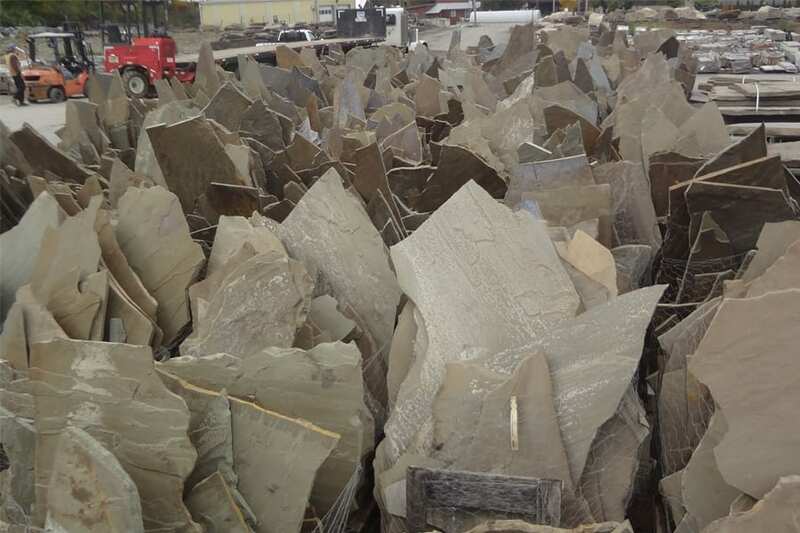 Wicki Stone carries these products that match or compliment Blue-Blue Bluestone Irregular walkway and patio stone.